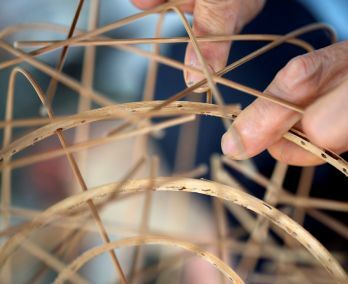 Vietnam is home to some 4500 craft villages, where artisans draw on expertise that’s come down through countless generations. 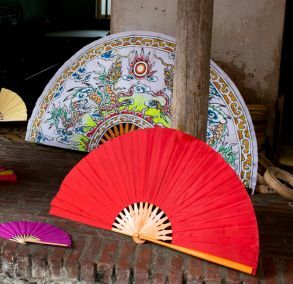 The craft villages employ some 12 million people and create millions of seasonal jobs for farmers, generating economic benefits while helping to preserve Vietnam’s cultural and historical heritage. 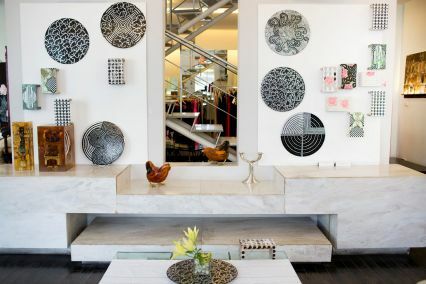 Ceramics. Silks. Woodcraft. 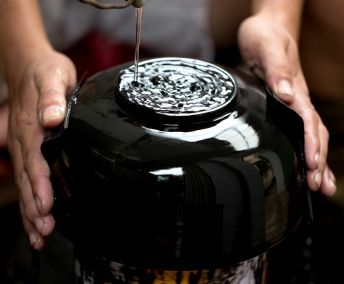 Lacquerware. Conical Hats. 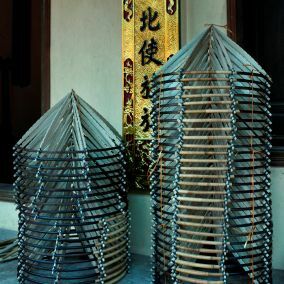 Bamboo Bird Cages. Move beyond the basics on display at the souvenir shop to the arts and crafts sprung from the heart and soul of Vietnam. 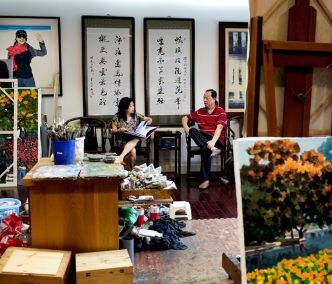 Vietnam’s art scene, particularly in Hanoi, has been heavily influenced by the “Ecole Superieure des Beaux Arts d’Indochine” established by the French colonial government in 1925. st.
After the Indochina war ended, it was renamed The Hanoi College of Fine Arts. Generations of post-war artists bore the influence of its Indochina period and its graduates formed their own unique artistic styles. Among those early students was Ms Loan’s own father, who attended the college’s 8th class with Luong Xuan Nhi, Trinh Huu Ngoc, Tran Van Cam, and Hoang Tich Tru, and was a contemporary of legendary artists Bui Xuan Phai, Nguyen Gia Tri and To Ngoc Van. However war broke out again, dispersing them into different countries. Inspired by her father’s story, Ms. Loan visited her father’s old friends and prepared for his first visit to Hanoi in 1994. Sadly, already in his mid-80s, Ms Loan’s father discovered that most of his classmates had passed away. 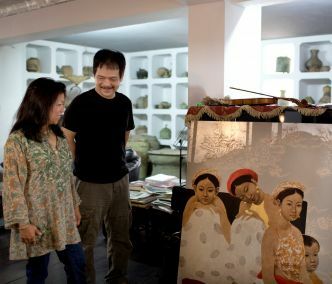 Motivated by the lively art scene of Hanoi, Loan’s father spent the remaining years of his life in Vietnam to learn lacquer painting with artist Dang Thu Huong and his old classmate Hoang Tich Tru who, also then in his late 80s, painted oil on canvas and aquarelle on dó paper. 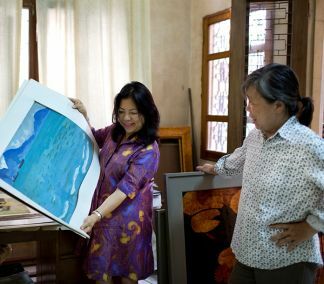 When Ms Loan visited the college, she encountered the post-war generation artists and formed friendships with then up and comers, including Dang Thu Huong , Le Thiet Cuong, Bui Hung Hung and Pham Luan. 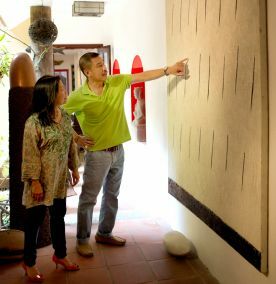 Ms Loan’s involvement in the early stage of modern art in Vietnam led her to become friends with incredibly talented artists who have become more and more confident in their style, benefiting from international scholarship while incorporating the spirit of Vietnam in their work. It’s one thing to marvel at a work of Vietnamese art strung up on a gallery wall. It’s something else getting up, close and personal with artists in the comfort of their studio or home. Ms. Loan’s personal Journeys to the East can take you behind the scenes to meet some of the country’s most exciting contemporary Vietnamese artists – a relationship that you very well may cultivate for the foundation of your new collection. Choose the canvas of your Journeys to the East.